Because of its direct relevance to products of commerce, solid state inorganic chemistry has been strongly driven by technology. Progress in the field has often been fueled by the demands of industry, well ahead of purely academic curiosity. Applications discovered in the 20th century include zeolite and platinum-based catalysts for petroleum processing in the 1950s, high-purity silicon as a core component of microelectronic devices in the 1960s, and “high temperature” superconductivity in the 1980s. The invention of X-ray crystallography in the early 1900s by William Lawrence Bragg enabled further innovation. Our understanding of how reactions proceed at the atomic level in the solid state was advanced considerably by Carl Wagner's work on oxidation rate theory, counter diffusion of ions, and defect chemistry. Because of this, he has sometimes been referred to as the father of solid state chemistry.Zeolites are microporous, aluminosilicate minerals commonly used as commercial adsorbents. The term zeolite was originally coined in 1756 by Swedish mineralogist Axel Fredrik Cronstedt, who observed that upon rapidly heating the material stilbite, it produced large amounts of steam from water that had been adsorbed by the material. Based on this, he called the material zeolite, from the Greek ? (zeo), meaning "to boil" and ? (lithos), meaning "stone". As of October 2012, 206 unique zeolite frameworks have been identified, and over 40 naturally occurring zeolite frameworks are known. Zeolites are widely used in industry for water purification, as catalysts, for the preparation of advanced materials and in nuclear reprocessing. They are used to extract nitrogen from air to increase oxygen content for both industrial and medical purposes. Their biggest use is in the production of laundry detergents. They are also used in medicine and in agriculture. ir William Lawrence Bragg CH OBE MC FRS (31 March 1890 – 1 July 1971) was an Australian-born British physicist and X-ray crystallographer, discoverer (1912) of the Bragg law of X-ray diffraction, which is basic for the determination of crystal structure. He was joint winner (with his father, Sir William Bragg) of the Nobel Prize for Physics in 1915: "For their services in the analysis of crystal structure by means of X-ray" an important step in the development of X-ray crystallography. He was knighted in 1941. 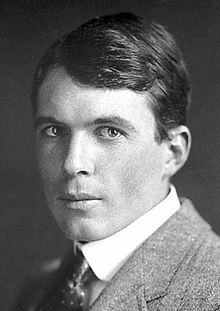 To date, Lawrence Bragg is the youngest Nobel Laureate. He was the director of the Cavendish Laboratory, Cambridge, when the epochal discovery of the structure of DNA was made by James D. Watson and Francis Crick in February 1953.Carl Wilhelm Wagner (born May 25, 1901 in Leipzig, Germany, died December 10, 1977 in Gottingen) was a physical chemist. He stated an important law of oxidation kinetics in 1933. He was awarded the Bunsen-Denkmunze of the Bunsen Society in 1961. Wagner, H. Ulich, and W. Schottky co-authored the famous book Thermodynamik in 1929. Wagner and Schottky proposed the point defect-mediated mechanism of mass transport in solids, Wagner then extended the analysis to electronic defects. For these works and for his subsequent research on local equilibrium, his oxidation rate theory, and the concept of counter diffusion of cations, Wagner is considered by some as the "father of solid state chemistry." In 1933, Wagner spent one year at the University of Hamburg, then moved to the Technische Hochschule Darmstadt, where he stayed until 1945. From 1945 to 1949, he was a scientific advisor at Fort Bliss, Texas. From 1949 to 1958, Wagner was a professor of metallurgy at MIT. In 1958, he moved back to Germany and assumed the position of Director of the Max Planck Institute of Physical Chemistry at Gottingen, from which he retired in 1966.